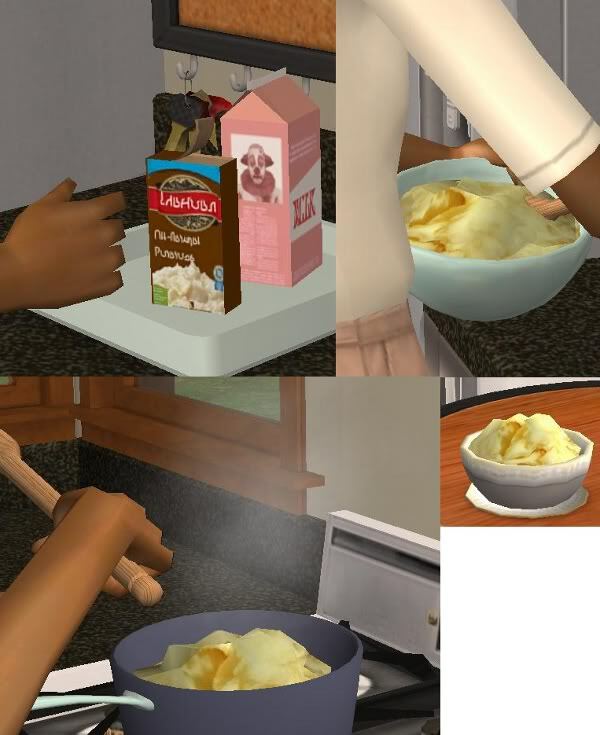 Included is Idahoan Mashed Potatoes in Simlish. This food is available for all 3 meals, non default replacement (just like all my foods here) and has all the morph states included (fully animated). Enjoy! Wow! These are much better than the default replacements on TSR. Thanks! This is great, really terrific, thank you very very much. @Anonymous - the link has now been fixed.